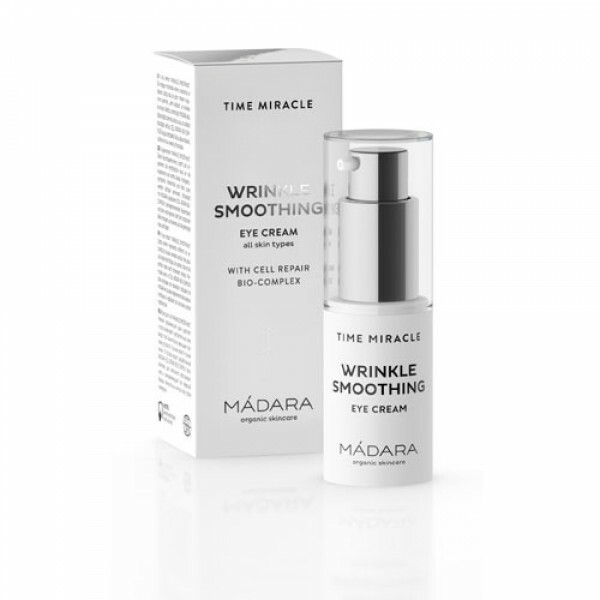 This gentle hydrating cream firms and reconstructs the delicate skin around the eye area. Signs of fatigue, crow’s feet and fine lines are noticeably reduced. Formulated with MÁDARA’s proprietary CELL REPAIR BIO-COMPLEX and rejuvenating Northern Birch juice.